The highly anticipated Construction expansion is here! The house viewer menu gives you an overview of your house. It can also be used to move, rotate, delete and add rooms to your house with ease. The house viewer menu can be found within the house options in your settings tab. Simply open the menu, select the room you wish to modify, choose the action you wish to take and click 'Done'! When moving and rotating rooms, the contents of your room will be saved. Never again will you have to part with everything in a room to rearrange your house! If you find yourself trapped after moving rooms around with the house viewer menu, you can use the portal icon at the top of the menu to teleport back to your entrance portal. Please note: If the room you're moving is linked to another one by stairs, trapdoors or ladders, the house viewer will attempt to move the whole stack of linked rooms together. There must be available space for all of these rooms in order for the move to be possible. The superior garden is a new type of room which requires 65 Construction and 75,000 coins to create. Superior gardens provide some excellent utility, as well as a nice touch of nature, to your house. While some of the items you are able to build in your superior garden require a saw, some require a watering can instead. This means you will not be able to utilise a crystal saw when building the items which are more botanical in nature (and also the lava floor because it’s sort of natural). The natural teleport hotspot is where you can place a fairy ring, spirit tree or both! In order to create a fairy ring in your house, you'll need to get your hands on a fairy enchantment from Fairy Fixit, once Fairy Tale II is complete. She can be found just next to the fairy ring in Zanaris. The spirit tree option does not count towards the number of trees you're permitted to grow simultaneously in your Farming patches; it is simply an addition to the existing list. Both the spirit tree and fairy ring options allow you to teleport directly to the superior garden of your house via those transportation networks. 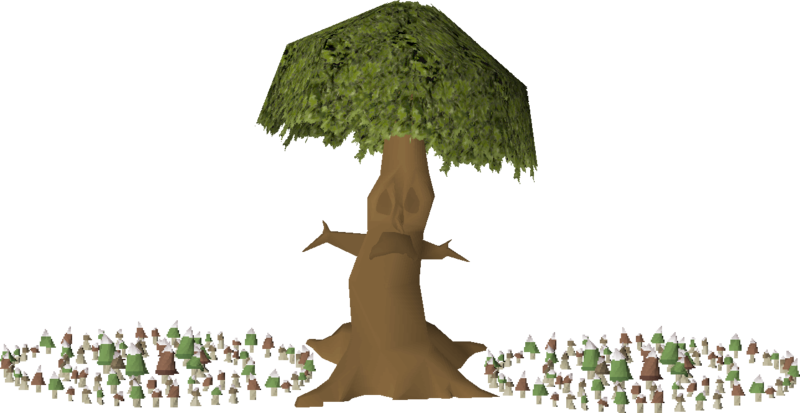 The topiary can be clipped into various bosses from throughout Old School. It can be re-clipped while your house is not in building mode, so that you can show off your entire selection of defeated bosses while your admiring guests watch in awe. You must have defeated a boss at least once in order to create a topiary version in your house. The pool hotspot can be used to build pools which allow you to quickly restore various stats and health. The garden theme hotspot determines the appearance of the garden overall. There's a unique Zen theme requiring some pink dye from Hand in the Sand, an otherworldly Zanaris-based theme requiring the secateurs from Fairy Tale I and a striking TzHaar-based theme. The fencing hotspot allows you to change the type of fence used in your garden. Got a lot of redwood logs or TzHaar weaponry filling up your bank? Maybe you can find a use for them here. The seating hotspot can be used as a place to build decorative benches for your garden. The teak and "gnome-style" mahogany benches can be used as seating, though regrettably the marble and obsidian models would have horrible render order issues if you merged with them, so they're just for decoration. The achievement gallery is a new room for player-owned houses. Requiring 80 Construction and costing 200,000 coins to create, the achievement gallery is ideal for showing off your accomplishments in Old School, along with providing some very powerful utilities. The altar hotspot found in the achievement gallery can be used for one of four altars: ancient, lunar, dark and occult. These altars allow you to switch between the ancient, lunar and arceuus spellbooks in the comfort of your own home. You must meet all the usual requirements in order to use these altars to access spellbooks. Ancient signet - Talk to Eblis at the mirrors by the Bandit Camp. Requires completion of Desert Treasure. Lunar signet - Trade with Baba Yaga. Requires completion of Lunar Diplomacy. Dark signet - Talk to Tyss by the Dark Altar. The adventure log is the perfect way to show your visitors the various beasts you've taken on in your time. It allows guests to view your boss kill log and Slayer kill log, along with a new display for showing your Champions' Challenge progress, plus some other data besides. The jewellery box hotspot allows you to build boxes containing different types of enchanted jewellery, providing an unlimited number of charges. Your jewellery box can be upgraded to include a games necklace, ring of dueling, skills necklace, amulet of glory, ring of wealth and combat bracelet. If you find yourself burning through charges, a jewellery box is for you! Its menu responds to keyboard short-cuts for optimal gainz. Where the listed ingredients for the new furniture include partially-charged jewellery, such as a ring of wealth (4), the game will accept jewellery with higher numbers of charges. The boss lair hotspot allows you to add a touch of "terrifying monster environment" to your humble abode. Using jars dropped by boss monsters, you can replicate some of the biggest and baddest bosses in your house. You can have one of each jar held in your display at any time, provided you've personally defeated the boss that drops it, and you can switch between the different environments any time you wish. You can also retrieve your jars should you grow tired of seeing a beast you've already slain lurking in your achievement gallery. The mounted display hotspot lets you show off a skillcape, fire cape, bounty hunter emblem or massive stack of coins. If you've got too much money and you want people to know it, why not drop 100,000,000 coins on a non-refundable mounted coin display? If you're a seasoned adventurer who has seen a fair few quests in their time, the quest list is for you. 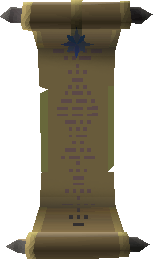 This wall piece allows your visitors to see your progress through each quest in Old School. Along with the new features that are visible in the update, we've undertaken a fairly major rewrite of player-owned house code in this update. 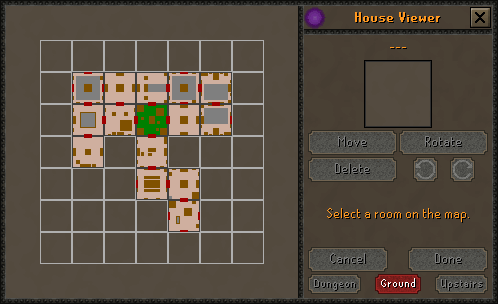 Ever since Old School RuneScape re-emerged, players have asked for more options to be added to houses. New teleport portal destinations are a particularly popular request, but we've always been constrained by the limits of the legacy player-owned house system. In particular, each room was limited to seven hotspots, of which three could have 7 options and the other four could have 3. Following this update, each hotspot can have 31 options, and the rooms can have eight hotspots (and we can do a couple more when required). This will enable us to offer a lot more of the things you've requested, and we're already looking forward to including player-owned house updates in future polls. A rewrite of that nature is not a straightforward thing to do to the legacy codebase, which is why this update has been in development and testing for so long, but we hope it will prove worthwhile in the long term. In the meantime, we'd very much appreciate your patience if it throws up some teething issues. If something does go wrong, you can report bugs by 'right-clicking the Report' button to find the bug form. That form's particularly useful for this kind of thing, since it grabs a record of your account details, thus allowing the testers to get detailed info about your house setup. This can be considerably more informative than merely posting "yo jagex my house broke fix plz" - so if something's wrong, and you'd like us to look into it, that's the form for you. The Ring of Suffering and Ring of Suffering (i) can now be charged using rings of recoil to provide the same effect. The Ring of Suffering can hold up to 100k recoil charges. The stats of the Ring of the Gods and Ring of the Gods (i) have been improved. The number of gem rocks in the Shilo Village underground mine has been increased. A deposit box has also been added to the mine. The music skillcape now has a teleport to Falo the Bard. Buy offers can now be created from the Grand Exchange history menu. You can now toggle whether the Ring of Wealth should pick up coins or not. Easter Baskets have had their stats changed to match the rubber chicken. The Fremennik diary task for mining gold in the Arzinian Mine can now be completed mid-quest rather than post-quest only. When Slayer Masters offer a repeat task, they now specify what the target is. Fletching higher tier logs will now give a greater number of arrow shafts. The selling price of dragon armour within Last Man Standing has been increased to 10 tokens. The selling price of abyssal whips within Last Man Standing has been decreased to 15 tokens. Rune arrows can now only be obtained from the bloody/bloodier keys, not normal chests. Adamant arrows have returned to Last Man Standing. The northern stepping stones in Last Man Standing have been moved to the northern side of the small island. Tele group spells can now be used to complete Achievement diary tasks. Players will no longer get two separate messages to tell them they can build STASH units when they level up Construction. Fixed a typo on a boat in Kourend. Non-members can now use the stale baguette reward item. The Guthix max cape hood now counts as a god-item when completing clue scrolls. Last Man Standing broadcasts will no longer appear up in other instances. Your Last Man Standing rating will no longer decrease if you log out or forfeit a casual game. Your Last Man Standing rating will no longer decrease if you leave the lobby. Some of you are alright, don't go to Falador tomorrow. Join today on our official offsite - "Oblivion"
What Mod Ash has pulled off with this interface is spectacular. The PoH now truly feels as if its customisable, no longer do you need to think ahead with your layout, as it is now easy to just change with the interface! Got your gilded altar in the wrong place, previously you'd have to pay to build another, now it's moveable! This might be the best update in osrs.